Josh Jayne and I developed a recipe for an India Pale Lager sometime in late summer 2015. We were finally able to brew this on New Year’s Day 2016. 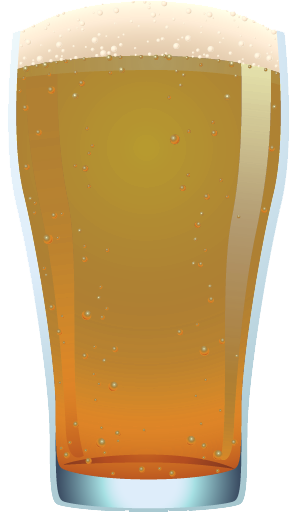 The idea was to make a very hop-forward beer with the clean lines you find in a lager. To do so, we debated what the grain bill would look like first. Personally, I use German Pilsner malt in most of my lagers. However, that would add too much of a grain element in a beer that we wanted to focus on hops. The end result was to use basic American 2-Row malt as our base. We added 12% Munich to add a small amount of character and 4% Crystal 40 for some color. As for hopping, we ended up using some traditional American C-hops in the boil. It was bittered with Columbus using a First Wort Hop addition. Centennial, Chinook and Columbus went into the flavor additions at 15, 10 and 5. We then used those same hops in a 20 minute whirlpool addition. Josh and I did an 11 gallon batch and split the proceeds. We each used different yeast strains and dry hopping varieties and strategies. I went with Wyeast American Lager yeast, and Josh went with the Bohemian Lager strain. For dry hopping, I used 1.5 oz each of Chinook and Columbus (ran out of Centennial). My method for dry hopping this lager was to complete the initial fermentation and perform a diacetyl rest. After three days at 60-63 degrees, I added my dry hops and kept at that temp for 3 days. After that point, I began the process of lowering the temperature by 4-5 degrees every two days until I reached my lagering temp. At that time, I then transferred the beer to my keg, pressurized and let lager for 4+ weeks. Josh went a different route for dry hopping. He used ~3oz of Horizon hops. His method was to dry hop into the already cold, lagering beer. Rather than the traditional 3-5 day dry hop you would do in your ale fermentation-temp beer, Josh lagered for a longer period as it was lagering. For you folks who have tried these beers, it would be great to get a discussion on what you perceived.